Just 1,000 feet from the beach of Bali in Crete, this fully equipped villa is set in a 1,000-m² land and offers a spa bath and free Wi-Fi. There is a big veranda with garden overlooking the countryside. 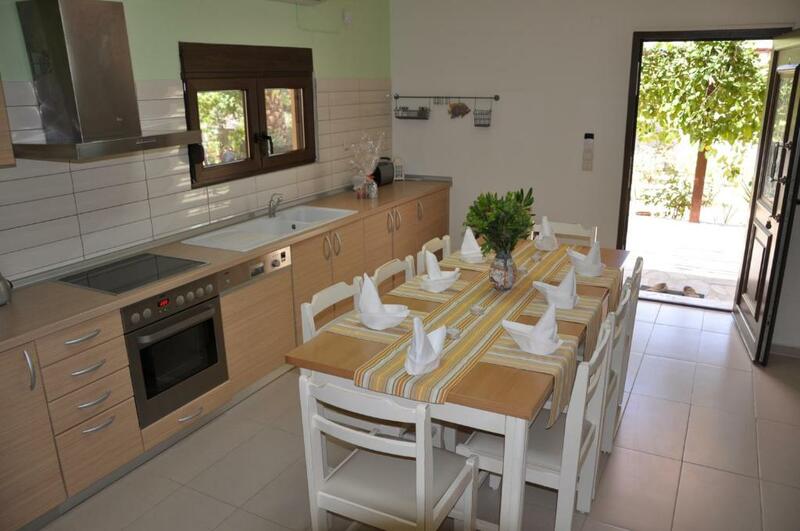 A spacious kitchen with stove, dining area and espresso machine is provided. The living room includes a flat-screen TV with DVD/CD player, a sofa and armchairs. 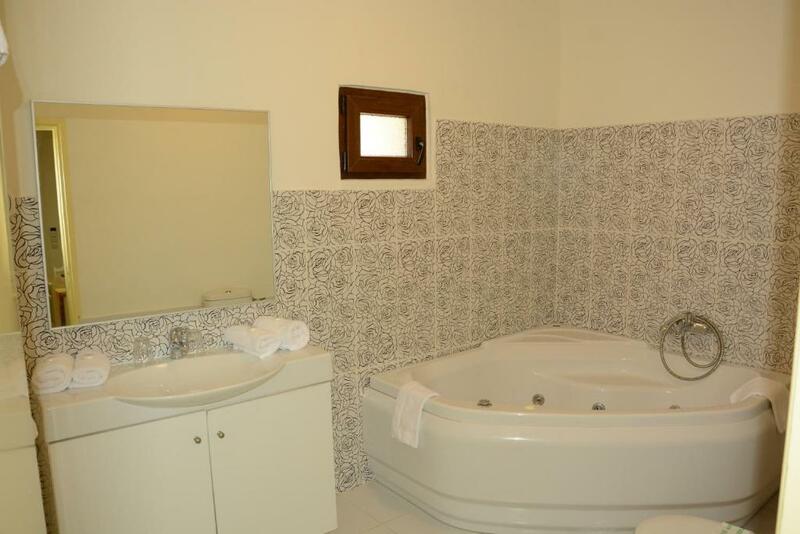 The Bali Paradise Residence Villa has two bathrooms and 3 air-conditioned bedrooms. Guests have full access to the facilities of the sister hotel within a 150 feet of the Bali Paradise Villa, such as a swimming pool, restaurant and tennis court. The town of Rethymno is at 19 mi and Heraklion City is at 28 mi. The famous Cave of Melidoni is within 6.2 mi and the archaeological site of Knossos is 31 mi away. Free private parking is possible at the villa. 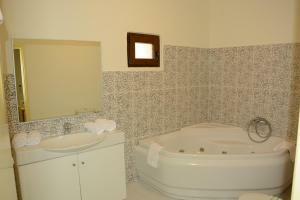 When would you like to stay at Bali Paradise Residence Villa? 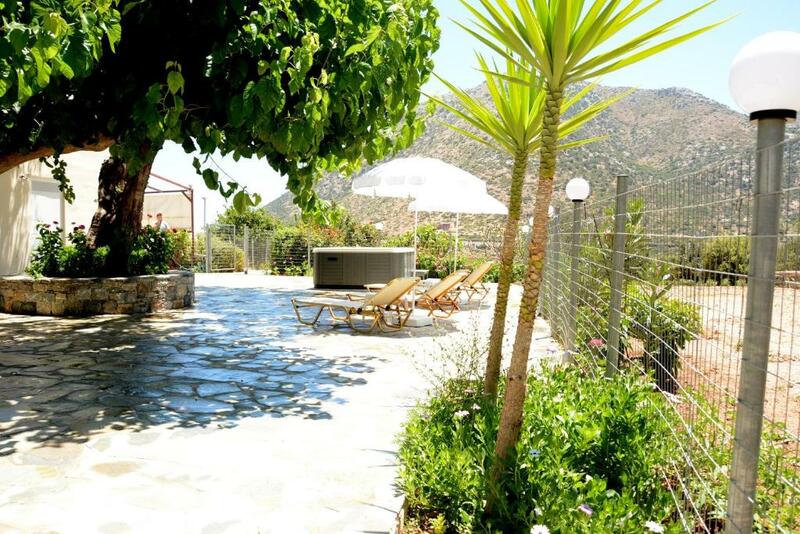 984 feet from the beach, this spacious villa offers a spa bath, free Wi-Fi and terrace overlooking the village, the Cretan Sea and the countryside. 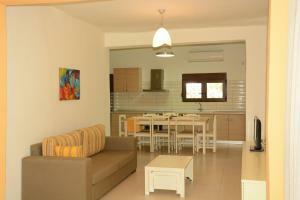 Bali Residence Villa is a lovely appartment for families! 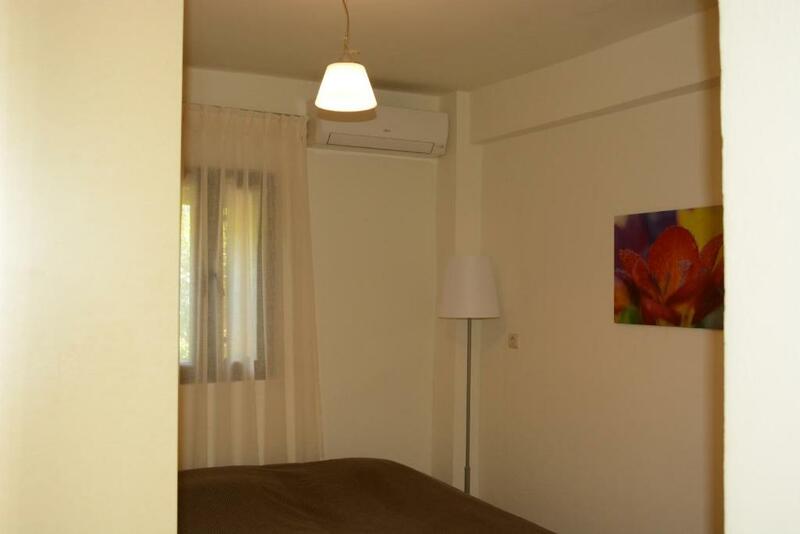 It offers a very pleasant and quiet atmosphere. An exterior jacuzzi is placed on a garden full of trees and flowers. In the adjacent hotel you can arrange meals in a restaurant with a magnificent view of the sea or enjoy the pools (for adults and children)! 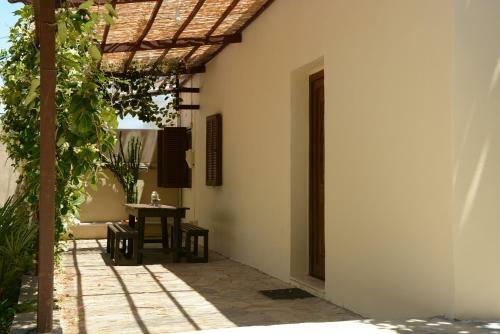 The owner or the Villa is quite experienced in travel and tourism sector. House Rules Bali Paradise Residence Villa takes special requests – add in the next step! Bali Paradise Residence Villa accepts these cards and reserves the right to temporarily hold an amount prior to arrival. Please inform Bali Paradise Residence Villa of your expected arrival time in advance. You can use the Special Requests box when booking, or contact the property directly using the contact details in your confirmation. We need at least 5 reviews before we can calculate a review score. 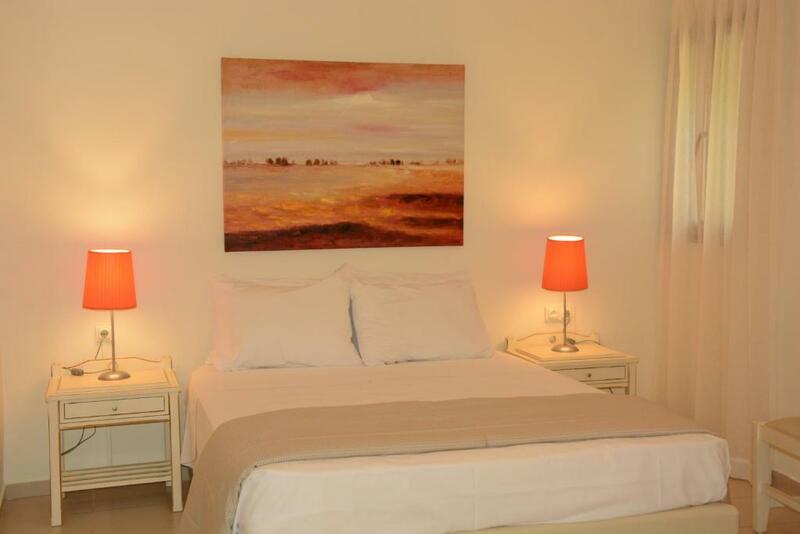 If you book and review your stay, you can help Bali Paradise Residence Villa meet this goal. Everything was great - location (at the outskirts of the big hotel with a very pretty garden), facilities (we were able to use all the facilities of the hotel, including beach beds and parasols for free), food. Want to come back!